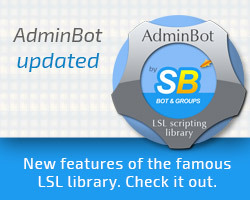 Updated AdminBot LSL Library V2.0! An updated bridge for your LSL script and Second Life bots is here! AdminBot allows LSL scripts to perform functions that are available for bots. Your bot conducts two-way communication between your scripts and AdminBot. We’ve upgraded AdminBot to utilize even more SL group possibilities! 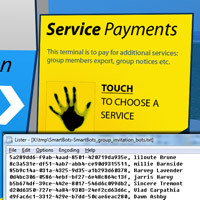 The new SmartBots function has been just published: SL group members export. You can export your group members to a text file, including names and UUIDs. This is extremely useful if you need the members list to use with another SL service. The price of the new service depends on your Second Life group size and starts from L$500. The most recent documentation on group export is located here.